So we will start with some easy examples and then move on to the more obscure. Mr. Cool Smiley with sunglasses. Everything is cool. Also a symbol for summer holidays, and holidays on the beach. Smiley boldly sticks out the tongue, winking with one eye. Has made a joke or wants to flirt with the person they are sending it to. Is carefree and does not mean it seriously. Grinning face - The happy smiling face is one of the most common emojis and universally applicable: you just want to say hello, express joy or excitement about something or brighten up a short text. Grinning face with smiling eyes - Smiley's mouth is wide open, its eyes squeezed shut with joy. Laughs loudly, cheerfully and heartily. Only the typical emoji eyes distinguish it from the classical smiley face. Can also be used for sarcasm. Their are different options when choosing emojis with people - The Simpsons, White, Asian, Black, Red head etc etc. 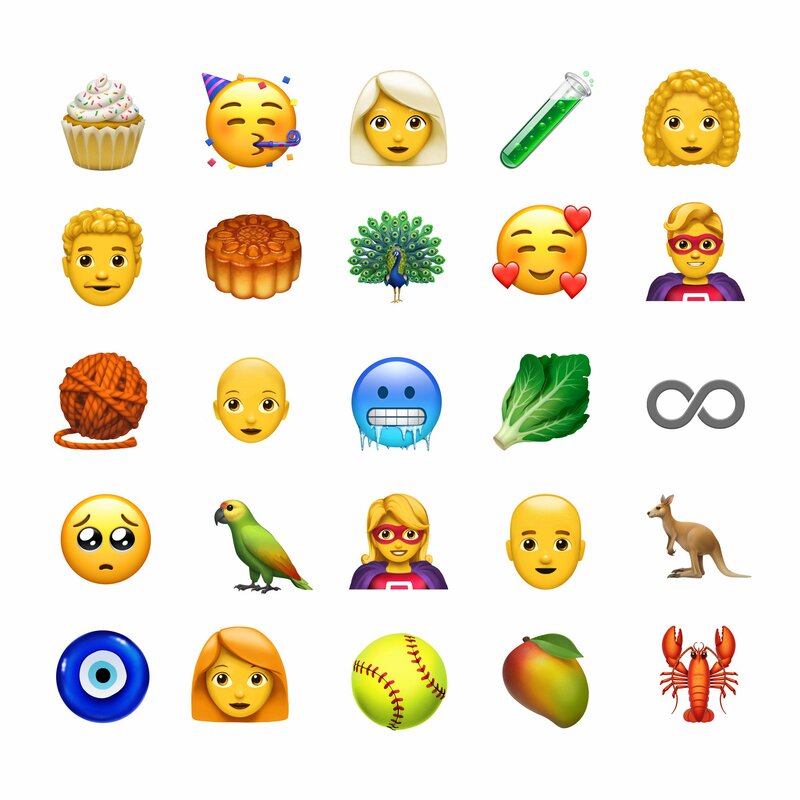 This is a great way to personalise your emoji. These 3 have double meanings, though it is obvious what they are, they are sometimes used for sexual messages. Their are others which have double meanings too, and ones used together to create other meanings. If your unsure and don't want to offend the recipient our advice is to check first before hitting the send button. Their are so many to choose from that it is sometimes difficult to know which one to pick... A quick tip is to type in what you want to say and see the example the phone is suggesting and use that. World Emoji Day is today 17th July, so to celebrate apple have designed some new ones. Their are some obvious ones, but if your unsure visit the emojipedia just in case.